Revamping its tourism strategy, Massachusetts has moved beyond the usual travel itinerary with newer and more unconventional attractions for 2018. Massachusetts soaked in rich colonial history has for decades offered visitors attractions with a yesteryear connection. With Boston as the capital, the Freedom Trail, a walking route of sites related to the American Revolution acts as a popular tourist destination. Other tourist spots include Martha’s Vineyard, considered a vineyard haven complete with beaches and red cliffs, the legendary home of the Red Sox pro-baseball team that is Fenway Park, Faneuil Hall, a unique historic shopping destination and the New England Aquarium boasting of fascinating sea creatures. Originally a Boston creative, the Art Week is a platform for artists to interact, create and present. Produced by the Boch Center, a nonprofit performing arts organisation located in Boston, ArtWeek is expanding its footprint across Massachusetts for the first time in 2018. ArtWeek will host an annual spring festival that will offer hundreds of unique creative events featuring experiences that are hands-on, interactive or offer behind-the-scenes access to artists or the creative process. The next ArtWeek festival will take place from April 27 to May 6, 2018. The anticipated million dollar resort casino, MGM Springfield is set to open in the third quarter of 2018 and Massachusetts expects a tourist influx surrounding the opening of the valued property. Worth USD 950 million, the under construction resort casino will include a 250-room boutique hotel with world-class amenities including tranquil spa facilities, pool, gourmet dining options, retail offerings, a public art program and more than 125,000 square feet of gaming space. It was also announced that great emphasis will be laid on public art both inside and outside the casino buildings that will feature local, state and national artists. It will include larger outdoor sculptures, paintings, artifacts in partnership with the Springfield Museums, lithographs, and wall murals. The Institute of Contemporary Art (ICA), Boston will be expanding its artistic programming across the Boston Harbor to a temporary site in the East Boston Shipyard and Marina. The new space, called the Watershed, is slated to open in the summer of 2018. A sanctum for contemporary art, ICA’s expansion in the Watershed will be a raw, industrial space for art where visitors can experience immersive projects by artists engaged with the site, space, and issues related to the unique location. In addition, the Watershed will also feature an introductory gallery which will focus on the historic shipyard and a waterside plaza serving as a gathering place. Samuel Adams Brewery, America’s original craft brewer has introduced a new 80-seat taproom at its Jamaica Plain headquarters. This new space encourages visitors to stop by the brewery for some pints, engage in a round of shuffleboard, and sample some of their more experimental brews. In addition to drinking and games, the Sam Adams Tap Room will be hosting weekly events like trivia and karaoke as well as food trucks and small food businesses from their Brewing the American Dream program. In addition to the above, some other options for visitors in 2018 would include a tour of the Museum of Dog, a unique museum dedicated to all things dogs that will feature a private collection of dog-inspired paintings, drawings, sculptures, photographs, and accessories. The ‘Iconic Illustrators Trail’ also introduced this year is open to public wherein they can enjoy the scenic trail that will link three museums featuring the works of Dr. Seuss, Eric Carle, and Norman Rockwell. 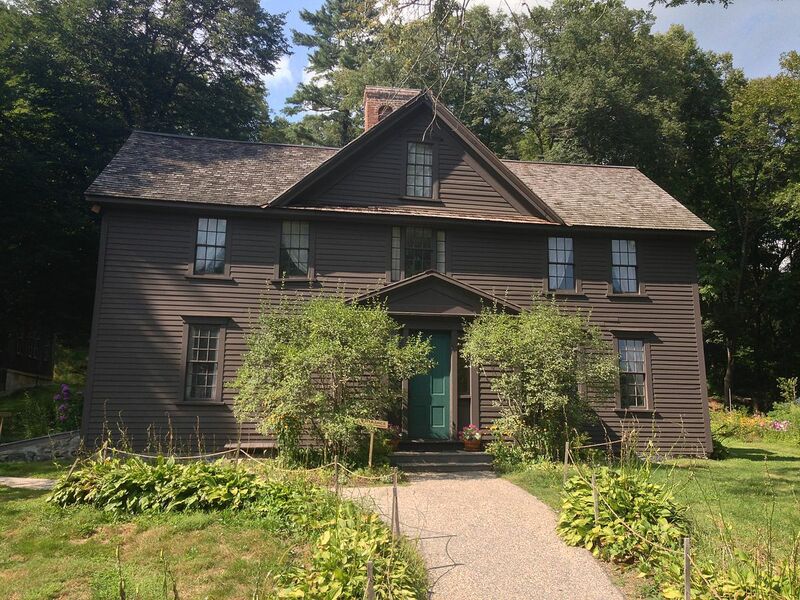 Celebrating the 150th anniversary of the Louisa May Alcott’s classic- Little Women, the Orchard House, a historic house museum in Concord is celebrating the occasion with a Little Women themed film festival, fashion show, thematic tours of the Orchard House and an original Little Women ballet. So while planning a trip to Massachusetts this year, you know what to do other than the obvious.